Voicemail is a feature on iPhone enables users to record a message to callers whose iPhones aren't one. It is a convenient feature considering your recipient will listen in on your message and get back to you immediately. A more handy feature is the visual voicemail function that displays all your voicemails, and in doing so, negating the need to call up a number. iPhone users can play, delete and organize voicemails. Want to know how to set up voicemail on iPhone XS/XS Max/XR/X/8/8 Plus/7/7 Plus/6/6S/6 Plus/6S Plus/5S/SE? This article explains all you need to know. 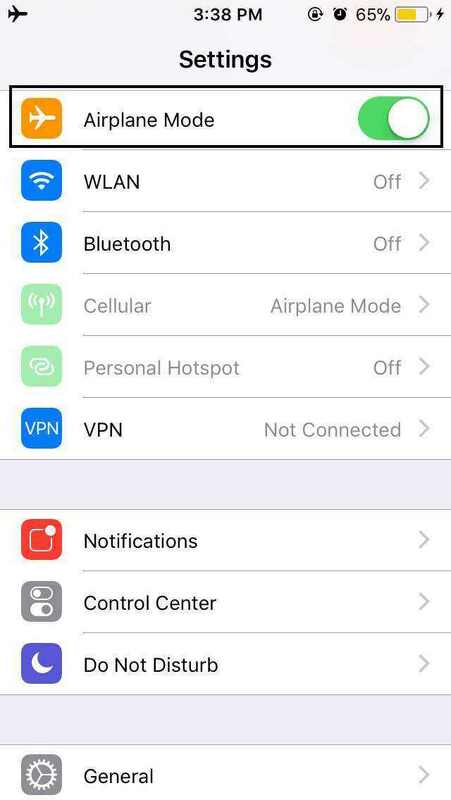 Ensure you update to the latest iOS version by navigating to Settings > General > Software Update. Part 1. How to Set up Voicemail on iPhone? Part 2. How to Change Voicemail on iPhone? Part 3. How to Change or Reset Your Voicemail Passcode? Part 4. How to Listen to Voicemail on iPhone? Part 5. How to Delete a Voicemail on iPhone? Part 6. How Much Data Does Visual Voicemail Use? To set up visual voicemail iPhone, you'll need to create a passcode then set it up by following the procedure below. Step 1: Launch the Phone App on your iPhone from the home screen. Step 2: Tap Voicemail located at the bottom right corner of the interface. Step 3: Tap Set Up Now and enter a four to six digit passcode you can easily remember. Step 4: Tap Done, re-enter the passcode and finalize by tapping Done once more. Step 5: Select one of Default or Custom. The latter allows you to create a custom greeting. If you want to change a voicemail greeting on iPhone, follow the procedure below. Step 1: Open the Phone App > Voicemail > Greeting. Step 2: Tap Custom and tap Record when you are ready to record your custom greeting. Step 3: Tap Play to listen to it then tap Save to finalize. Step 2: Go to Phone > Change Voicemail Password. Step 3: Enter your Old Password, then enter your New Password and re-enter it to confirm. If you have forgotten your voicemail password, contact your carrier and they'll reset it for you. A badge with a number, that represents the number of unheard messages, is displayed on the Voicemail tab when one of your callers leaves a voice message. To listen to a voicemail message, follow the procedure below. Step 1: Launch the Phone app and tap Voicemail located on the bottom right corner of the screen. Step 2: Select a voicemail message. This displays playback options. If you want to play the message using your phone's speaker, choose Speaker. If otherwise, e.g. through a Bluetooth speaker, select Audio. Step 3: To listen, press play, to pause press pause and drag the bar to forward or rewind. If you have already listened to a voicemail message, you can delete it; it will be transferred to the Deleted Messages folder. Follow the procedure below. Step 1: Launch the Phone App on your iPhone's home screen. Step 2: Tap Voicemail located in the bottom right corner of the interface. Step 3: Select a voicemail by tapping it and tap Delete. To delete it completely, follow step 1 and 2 above then tap Delete Messages > Clear Messages. iPhone visual voicemail files use about 1.6KB / second. A one-minute iPhone voicemail file is less than 100KB. 10 minutes of iPhone voicemail uses less than 1MB (megabyte). If you'd like to see how much data visual voicemail uses on your iPhone, go to Settings -> Cellular -> System Services. Extra Tip: How to Recover Deleted iPhone Voicemail? In case you have accidentally deleted your voicemails, you can recover them by using Tenorshare UltData. 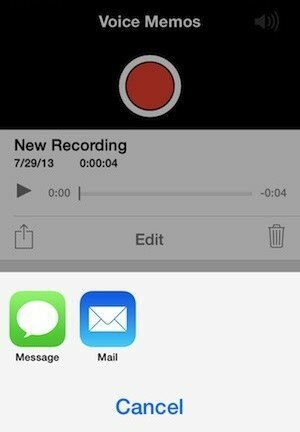 Tenorshare UltData enables users to preview and selectively recover voicemail and other data from iPhone. To recover, follow the procedure below. Step 1: Download, install and run Tenorshare UltData on your computer. Connect your iPhone to your computer using a USB cable. Step 2: Click the Voicemail checkbox along with any other data type you wish to recover and click Start Scan. 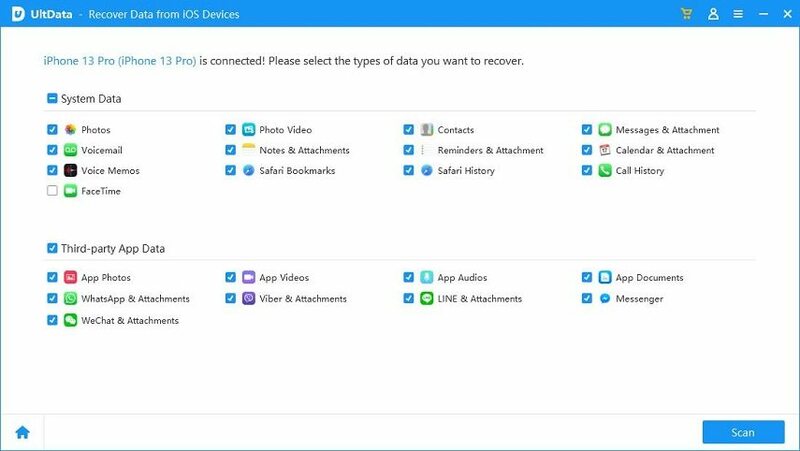 Step 3: All voicemails will be displayed; Select the ones you wish to recover and finalize the recovery process by clicking Recover to recover all voicemails. Wondering how to set up voicemail new iPhone XS/XS Max/XR? Follow the procedure above. In case you have lost your voicemails, we highly recommend that you recover them by using Tenorshare UltData.